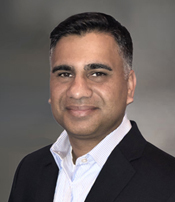 Prior to becoming CEO of Tvardi, Imran Alibhai was a Senior Vice President and Managing Director of DNAtrix, a clinical stage biotech company developing oncolytic viruses for cancer. Previously, Imran was an investment banker in PJ Solomon’s Healthcare Advisory Group, focused on M&A transactions in science based markets including biopharmaceuticals, medical devices/diagnostics and life science tools. Formerly, he was the Senior Director at Alexandria Venture Investments, where he was responsible for investments in emerging companies and funds in the healthcare sector. He also directed investments for PIPE’s and long/short positions in MPM Capital’s BioEquities hedge fund. Imran began his career in early stage venture capital at the Accelerator Corp., where he was involved in every facet of company/project formation and management. He currently serves on the Scientific Advisory Board for NASA’s Translational Research Institute for Space Health. Imran holds a PhD in Molecular Neuroscience from the University of Texas Southwestern Medical School and a BS in Biology from Duke University. David Tweardy, M.D. is Head of the Division of Internal Medicine at MD Anderson Cancer Center and a physician-scientist recognized for his contributions to our understanding of the biochemistry and molecular and cellular biology of signal transducer and activator of transcription (STAT) 3, as well as its contribution to inflammation, fibrosis, and oncogenesis. His group claims several firsts in the STAT3 field, including the identification, molecular cloning, and full characterization of the β isoform of human STAT3, identifying the contribution of STAT3 to human oncogenesis, and discovering competitive small-molecule inhibitors of STAT3 through targeting its Src homology (SH) 2 domain. He has obtained $15M in non-diluted funding to support development of small-molecule STAT3 inhibitors from concept to Phase I testing. 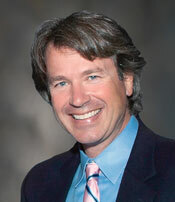 Dr. Tweardy is the major inventor of all patents licensed to or owned by Tvardi. Dr. Tweardy received his M.D. at Harvard Medical School and an A.B. in Chemistry from Princeton University. 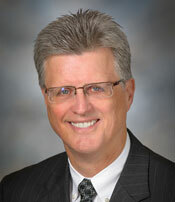 Ronald Depinho, M.D. has had a distinguished career in cancer research including his role as President of the University of Texas, MD Anderson Cancer Center. 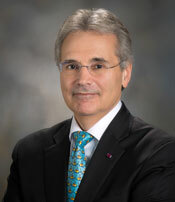 During his tenure as MD Anderson’s president, Dr. DePinho conceived and launched the Cancer Moon Shots Program, maintained MD Anderson’s top ranking, dramatically enhanced its research and training excellence, recruited many world class faculty, and expanded its global network to reach one-third of the human population. His research program has made fundamental contributions to our understanding and treatment of cancer, aging and degenerative disorders. He is a member of the National Academy of Science and National Academy of Medicine and recipient of honorary degrees and many awards including the Ellis Island Medal of Honor and knighthood from Portugal. Dr. DePinho has successfully founded and raised capital for numerous biotech companies including publicly traded Aveo and Karyopharm. He was an advisor for biotech firms, Epizyme and Agios as well as Abbott and GSK. He holds an M.D. from Albert Einstein College of Medicine and a B.S. from Fordham University. Founder and President, Wetland Partners, LP. Mr. Hall is founder and president of Wetland Partners, LP., which is primarily engaged in wetland mitigation banking and oil & gas investments. Mr. Hall is also a co-founder of BioMatrix Partners, an investment partnership focused on public and private biotechnology companies, with an emphasis on early-stage opportunities enabled by synthetic biology. Mr. Hall has invested in a wide range of businesses for over 30 years, serving in a variety of leadership capacities. An active member of his community, Mr. Hall has served in multiple leaderships roles with St. Mark’s School of Texas, the Texas Higher Education Coordinating Board, and most recently, a six-year term with the University of Texas System Board of Regents. He is a graduate of the University of Texas at Austin with a Bachelor of Arts in Economics. Elan Ezickson has more than 25 years of experience in building leading companies in the biotechnology industry. 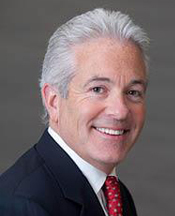 His leadership roles include COO and Head of Corporate Development at Scholar Rock and EVP and COO at Aveo Pharmaceuticals. Previously, he worked at Biogen Inc. in roles that included President of Biogen Canada, Program Executive and Associate General Counsel. Over his career, Mr. Ezickson has secured well over a billion dollars through licensing and partnering transactions. Mr. Ezickson holds a JD from Columbia University School of Law and a BA from Yale University.